Wolf Commercial Real Estate, a premier South Jersey commercial real estate brokerage firm that specializes Southern New Jersey commercial real estate listings and services, is now offering well-located South Jersey industrial space for sale at 601 Lippincott Avenue Riverton NJ. This South Jersey warehouse building for sale provides approximately 4,000 square feet of South Jersey warehouse space for sale. This Riverton industrial space for sale is a heated, efficient building. This South Jersey industrial building for sale also features an office inside the warehouse. This industrial space in Riverton is ideal for contractors, shop work, storage, small manufacturing and many other industrial uses. The asking sale price for this Southern New Jersey industrial space for sale is $395,000. This South Jersey warehouse space for sale at 601 Lippincott Avenue Riverton NJ is available for immediate occupancy through Wolf Commercial Real Estate, a South Jersey commercial real estate broker with expertise in Southern New Jersey commercial real estate listings and services. This South Jersey warehouse building for sale sits on 1.2 acres. The property at this industrial space in Riverton features a fenced and gated yard. There are five drive-in doors at this Southern New Jersey industrial space for sale. The ceilings at this South Jersey industrial building for sale are 27-feet high. This Riverton industrial space for sale at 601 Lippincott Avenue Riverton NJ is conveniently located next to the Riverton Station on New Jersey Transit’s River Line light rail system. This South Jersey industrial building for sale is situated near the intersection of Main and South Broad streets, just off River Road. Parking is abundant on site at this South Jersey warehouse space for sale. 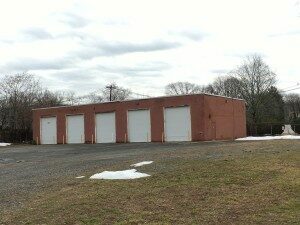 This industrial space in Riverton is being offered for sale through Wolf Commercial Real Estate, a premier South Jersey commercial real estate broker that specializes Southern New Jersey commercial real estate listings and services. Close to 430,000 residents live within five miles of this South Jersey warehouse building for sale at 601 Lippincott Avenue Riverton NJ. The average household income in the same radius of this Southern New Jersey industrial space for sale is $64,229. For more information about this South Jersey industrial space for sale at 601 Lippincott Avenue Riverton NJ, about other Riverton industrial space for sale or about any other South Jersey commercial properties for sale or lease, please contact Leor Hemo (856-857-6302; leor.hemo@wolfcre.com) or Jason Wolf (856-857-6301; jason.wolf@wolfcre.com) at Wolf Commercial Real Estate, a South Jersey commercial real estate broker. Wolf Commercial Real Estate is a leading South Jersey commercial real estate brokerage firm that provides a full range of Southern New Jersey commercial real estate listings and services, marketing commercial offices, medical properties, industrial properties, land properties, retail buildings and other South Jersey commercial properties for buyers, tenants, investors and sellers. Please visit our websites for a full listing of South Jersey commercial properties for lease or sale through the team at our South Jersey commercial real estate brokerage firm.